I am not a romantic person... but I believe in love. Especially love for my family. And everytime challenges come along the way -- I just have to believe -- and hope that LOVE wins. For this article let's zero in on husband-wife relationship. How does love actually win? 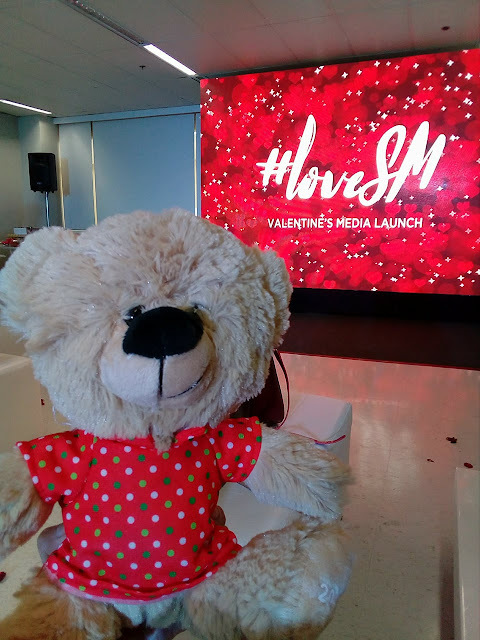 Yesterday, February 1, the first day of the love month -- I was invited to the Valentines media launch of Sm Supermalls. 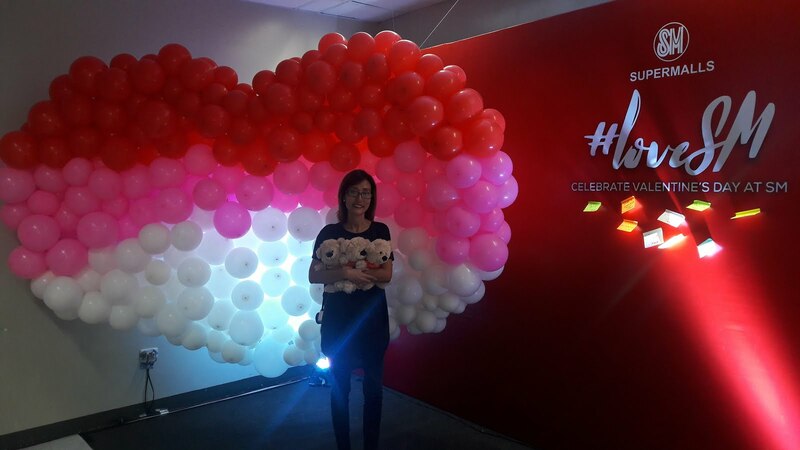 The venue with all things romantic -- balloons, teddy bears, rose petals on the floor -- the event set the mood for what turned out to be - a LOVE day for me. 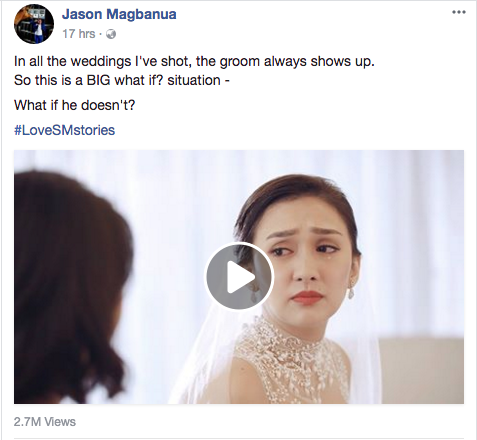 >> On the video that Jason directed for SM - the bride is having doubts and having lots of questions in her mind, on the day of the wedding. What can I say -- no one can ever really be sure if there's such a thing as FOREVER. But the decision to get married and be committed in the relationship is one big step to forever. Marriage, you just have to work hard for it to last. >> Ms. Grace shared one practical love advice. Instead of making tampo if your husband doesn't give you the right gift during occasions, fret not. 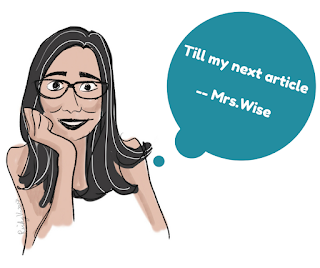 Wives should find creative ways of giving hints (or if you want just say it out loud) what gift do you want from hubby. That would eliminate the stress on the side of the husband, and frustration on the wife's POV. >> Make romantic memories together, even if you are married for years. Consider having weekly dates -- without the kids. This fuels fire into the relationship. Celebrating all kinds of love and relationships, SM Supermalls invite everyone to create unforgettable Valentines celebrations with the people they love through new, fun and romance-filled activities at 67 SM Malls nationwide -- whoa that's a lot! Planning a romantic date or cherishing singlehood with friends and family, Date Deals run aplenty with couple dining offers, buy 1 Take 1 promos, and freebies from January 28 to February 14. Couple shirts, his and hers novelties and two for one offers are also up for grabs at the Red Bazaar. While lovers can take out the whole gang for a good time at the Love Beats color-coded love parties on February 3-4, 10-11 and 14. Everyone can also enjoy heartfelt love ongs with the By Request Serenades - acoustic in-mall performances which playlist can be requested on line. There will also be IG worthy All Heart Photo stations for the photoholics out there. And you can also join sa #LoveSM stories digital promo for a chance to win P10,000 worth of shopping/date certificates.